There’s a whole lot of what’s new and what’s about to be, in NoHo. 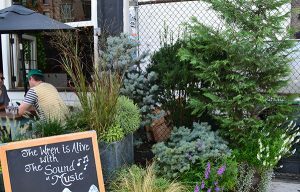 From fresh design to fresh edibles, whats new…and what’s about to be is entrepreneurial, innovative and probably the envy of quite a few neighborhoods that are suffering retail blight. 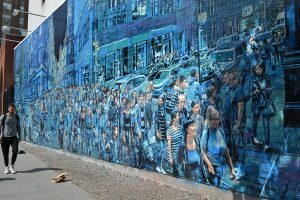 In mid-August , the latest artist to paint a mural at the iconic Bowery & Houston corner in New York finished his weeks of hard work. 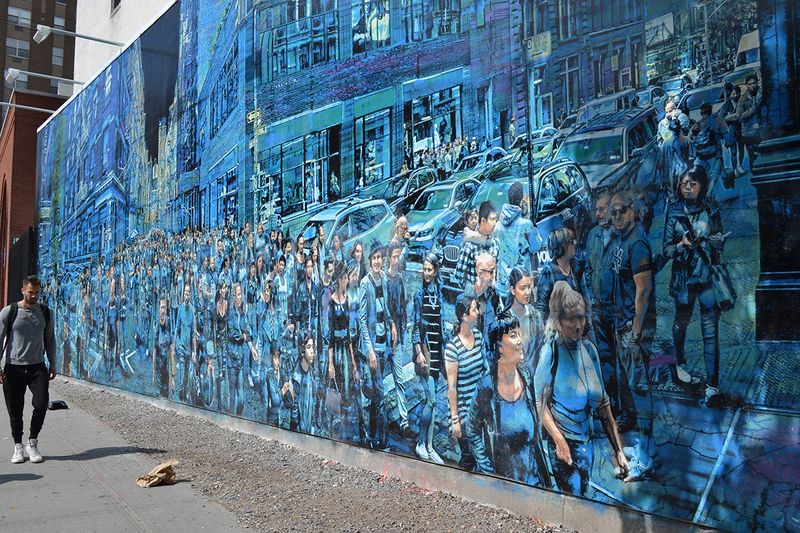 Logan Hick’s piece entitled Story Of My Life features a crowd of people he photographed on the corner of Spring and Greene Street and is a testament to the impressive skills he put into it. This piece animates New York City life so well that as we stand admiring it and watch the many many pedestrians stop to marvel, real life and the real art seem to merge. View it from across Houston or from the median. Time well spent. 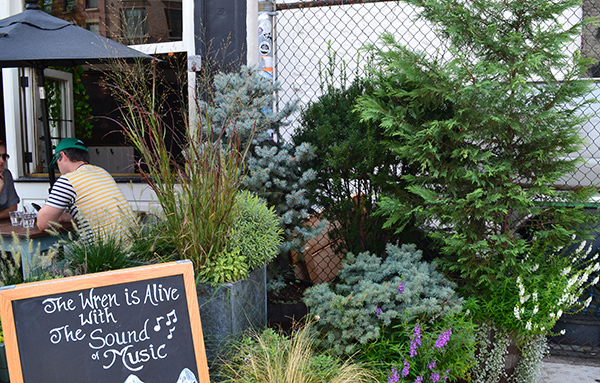 We have come to expect the unique from the Wren’s design and features, but the nestling of this cafe among planters of grasses and heathers and evergreens is very compelling. Four stars on Yelp: The Wren is such a great bar to know. It’s the kind of place where you can take an old friend, a first date, a bunch of new friends, and everyone in between. The ambiance is definitely lower-Manhattan *cool* and romantic without being pretentious. Bessou, just opened, is conceived of a desire to share Japanese family food traditions where meals were a way for to teach Japanese heritage. In summer it is chilled inaniwa udon with all of the traditional accoutrements, and in winter pounding rice into kiritanpo rice dumplings for hotpot stew. Be sure to say hello to Maiko, formerly of the Daniel Boulud organization, whose hard work and creativity has brought us a worthy replacement for our beloved Bianca. Fish Cheeks – 55 Bond St. 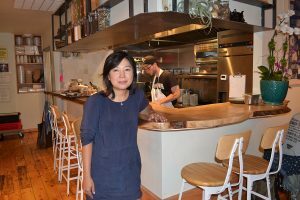 The gaggle of enthusiastic and accomplished Thai entrepreneurs who dreamed up this new entry to NoHo cuisine have transformed the former Le Philosophe into an authentic, contemporary, casual Thai emporium of irresitible delicacies. Soft opening Sept 6 thru 9. Not to be missed. 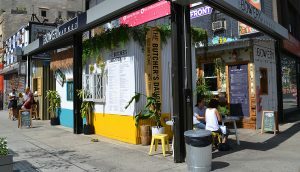 The newly opened Bowery Market — located in a former auto-body shop — is home to five vendors: Alidoro (A-plus Italian sandwiches), the Butcher’s Daughter (juice, avocado toast, lifestyle goals), Pulqueria (tacos and cocktails), Sushi on Jones, and Champion Coffee (the same as in Greenpoint). It’s open year-round, daily, from 8 a.m. to 9 p.m. The daughter of archaeologists, Ulla Johnson honed a signature style between the streets of New York and the far-flung destinations of family travels. Her eponymous line, founded in 2000, immediately caught the attention of the fashion press. The Ulla Johnson label has become synonymous with custom prints, intricate embroideries, and fine tailoring, all of which have earned her a loyal and global customer base. Ulla lives in Brooklyn with her husband and three children…and will come to the handsomely restored 15 Bleecker in early 2017. Bergen Hill – 64 Cooper Sq. We don’t know too much about Bergen Hill except what we read ion Grub Street. 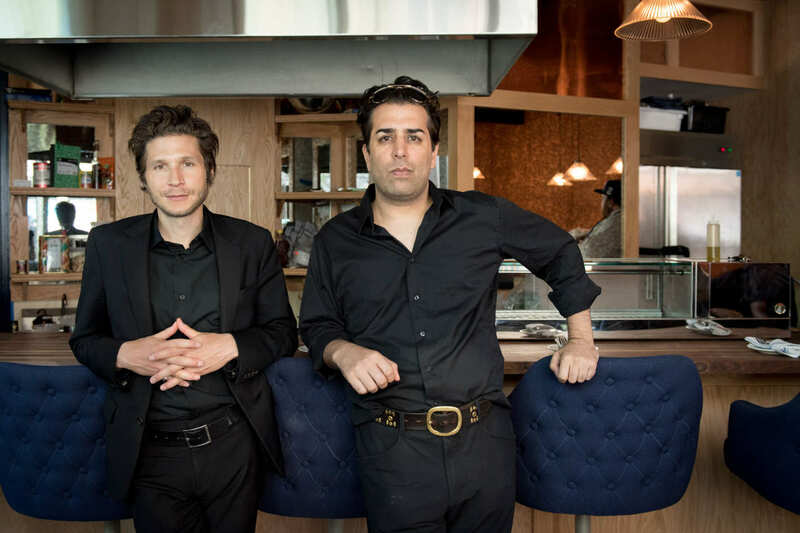 Formerly of Carroll Gardens, in Brooklyn, owners Ravi DeRossi and Daniel Kessler (Interpol’s guitarist) wanted more space. 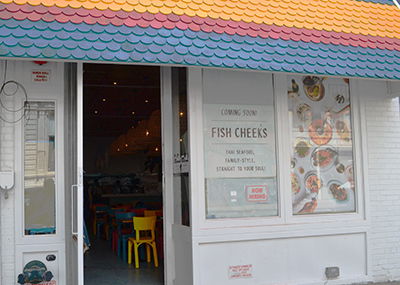 At their new Cooper Square location chef Anthony Mongeluzzi, will focus on seafood and vegetables. His menu includes langoustine with egg-yolk carpaccio, hamachi with white-soy ponzu, and an earthy fennel hummus — summery dishes that you’ll want to eat right now. Plus, Charlie Bird’s Robert Bohr and Grant Reynolds have curated the wine list. 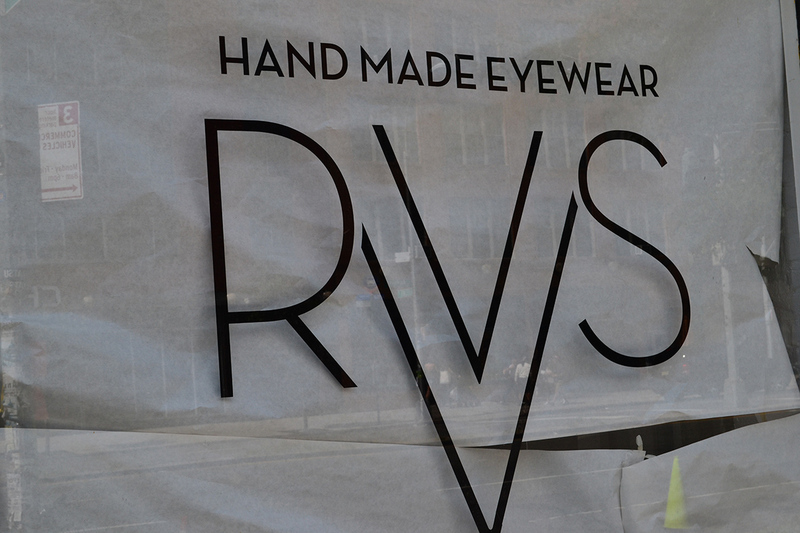 Still under wraps, but about to pop-up is a high-end, Italian purveyor of hand made eyewear…tucked in next to The Hole Gallery on Bowery. 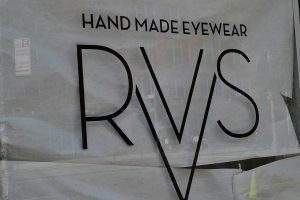 If you’ve got $300 to spend, their styles and designs look to be well worth it. Very appropriate positioning next to an art gallery.